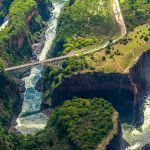 Discover an untamed wilderness in Africa’a adventure capital! 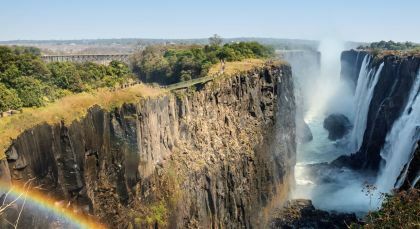 Enjoy exhilarating adventure sports in Victoria Falls and a variety of aquatic and overland activities amid the floodplains, grasslands and forests of Lower Zambezi National Park. The highlight of your trip is your scintillating walking safaris in South Luangwa – armed with fantastic guides and scouts, experience the pristine wilderness at your own pace. International arrival. We will welcome you at the airport. 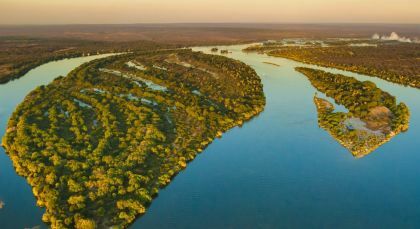 Lower Zambezi National Park lies across the Zambezi River from the historically better known Mana Pools in Zimbabwe. At the Chongwe River Camp, experience Africa on truly gripping game drives. Every turn of the steering wheel can bring a new animal into view, big and small. Night drives are a perfect opportunity to see nocturnal animals including civets, elephant shrew, porcupine, and the fierce honey-badger sauntering in their natural habitat. The camp’s guided bush walks reveal a secret world with hidden pathways and walking trails. Indulge in some game viewing at a leisurely pace with the morning and afternoon boat safaris down the Zambezi River. Enjoy a sundowner on the boat and feast your eyes on an array of colorful bird species around as you take in the charm of a spectacular sunset. For the ultimate relaxing experience, join the canoe safari over the Zambezi or Chongwe Rivers or indulge in baiting the legendary tigerfish. A trip into the Chiawa Cultural Village brings to you interesting facets of the Goba people and their culture. Experience wild walks! South Luangwa National Park is tropical, wild, beautiful and one of the most stunning national parks in Africa. Situated on the banks of the scenic Luwi River, Nsolo Bushcamp is famous for beautiful walking trails in the vicinity. Explore the region on foot with exciting bush walks in the company of experienced and armed guides. Every turn can spring a surprise, and the anticipation really mounts as you spot fresh tracks on the trail. Rave about your adventurous experience of sighting the lion, leopard, or wild dogs. When not tracking a game, you can simply revel in your spectacular surroundings and learn the nuances of the habitat and its occupants from your guides. Luwi Camp scores high in its leisurely ambience and wilderness quotient, with wild animal sightings a part of everyday life on the camp. The bush walks here give you a priceless chance to get close to Africa’s dangerous predators and abundant vegetation. Watch as the buffalos and hippos waddle in the water, and look up to see a sortie of colorful bee-eaters as they fly on a sortie. The remote camp is surrounded by the African wilderness and the bush walk trails can also lead you to a permanent hippo and croc-filled lagoon. The leisurely pace gives you ample chance to bend, peer, smell, watch, listen, touch – and everything else you wish for a complete experience. 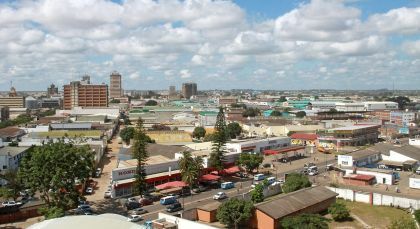 Lusaka is one of the fastest-growing cities in central Africa, with a sprawling downtown area, high-walled suburbs, busy shanty towns, bustling markets and large industrial areas, bringing together people of many nationalities and making it a bustling center for economic, political and cultural activities. 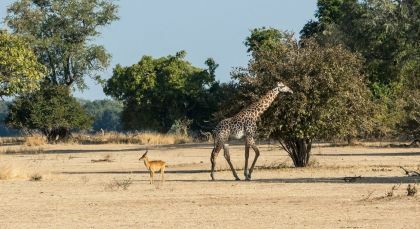 Zambia: Game drives in high quality and well maintained safari vehicle with professional English-speaking driver guide. Game drives may be shared with other guests of the lodge/camp, with maximum of 9 guests in the vehicle. This itinerary provided an amazing, Nat Geo level, wildlife experience, founded in the bush walks and the game drives with knowledgeable, enthusiastic guides. And the accommodations were superlative, and of course it only was improved by having wild animals wondering through the camps.